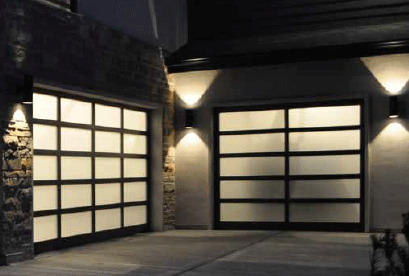 Design of supersteel Martin garage door could be flush, raised or recessed with Long or Short panel pattern. Windows could be added too. 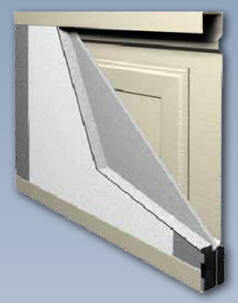 Double layer door panel is constructed with 1.2mm thick super-steel. After cold-rolling, the panel is hot-hip galvanized, enamel treated and powder coated to form a durable finishing, and filled with polyurethane foam for thermo/acoustic insulation. The door panel could be embossed with wood-grain pattern as it normally is, or just simply flat. It will not crack or rust, easily last longer than 20 years. 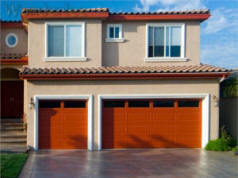 The garage door is designed and tested to wind speed of 177KM/hour.